When you own a yard, you often have a number of trees which have to be well maintained in order to keep the area looking good. If you have an easy schedule, and don’t often get the chance to look around your garden in the daylight, then taking a close look at your trees can be a nasty surprise. 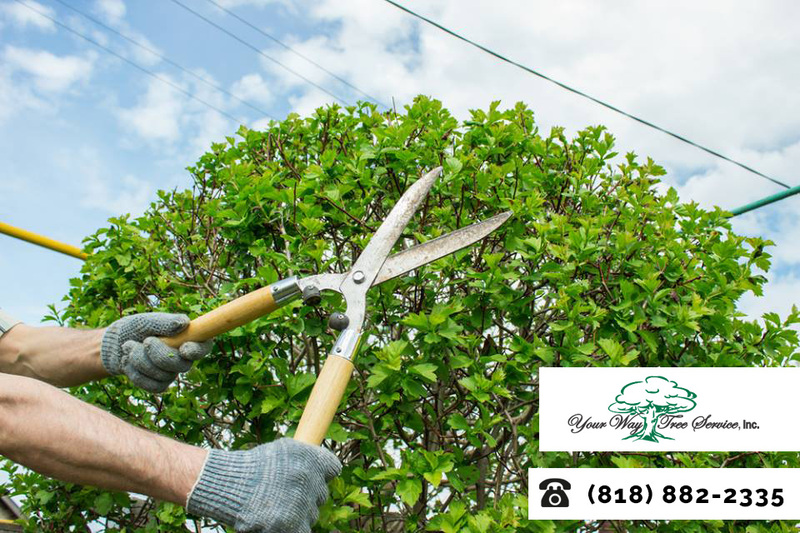 Over the course of a summer trees can grow very rapidly, and sometimes the best thing you can do is call in our professional Tree trimming Bel-Air services to get the matter in hand quickly. If your tree is completely healthy, then the best way to make sure that it is ready for the next season is to have it trimmed. This removes branches which have grown in particular directions, and generally tightens the appearance of the tree. With a simple trim, your tree can appear brighter and fresher, and will be better controlled next year when it is putting out new shoots. Even the healthiest tree will still produce a certain amount of dead branches and limbs that can be trimmed away in order to keep the tree completely safe. Cutting back a dead limb will help to prevent damage to property including roofs and cars. The tree expert will also advise you about removing any other limbs which may be difficult, helping to prevent damage to nearby properties and to power lines. Keeping the tree under control and well-maintained is the best way to ensure that it is able to carry on growing for many years to come. When you need the experts to give you help and advice concerning Tree trimming in Bel-Air, we are the company for you. We will send people to your home and give you recommendations concerning the care and maintenance of your tree. We can trim down any healthy trees, and also give you advice about moving dead or diseased trees on your property. By taking care of your trees quickly and efficiently, we save you a lot of worry and stress, and ensure that your yard looks as good as possible for longer. To find out how we can help you, visit our website, or contact our customer service team by emailing us at CustomerService@yourwaytreeserviceinc.com, or by calling us on 818-882-2335.